The creative possibilities of quilting are endless. Now your longarm machine also provides endless opportunities. Introducing the HQ Infinity by Handi Quilter. 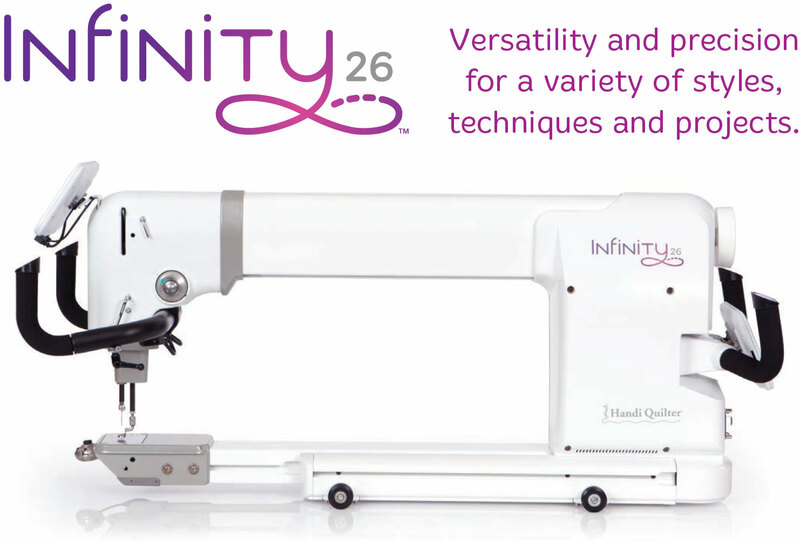 Innovative features from stitching speeds up to 3100 precision stitches per minute to handlebars that can be tailored to how you like to quilt will establish the Infinity as best in class. Customizable settings, programmable presets and intuitive software give the Infinity the ability to work and grow with you. Specialty pricing may apply. Please contact the store at 703.261.6366.